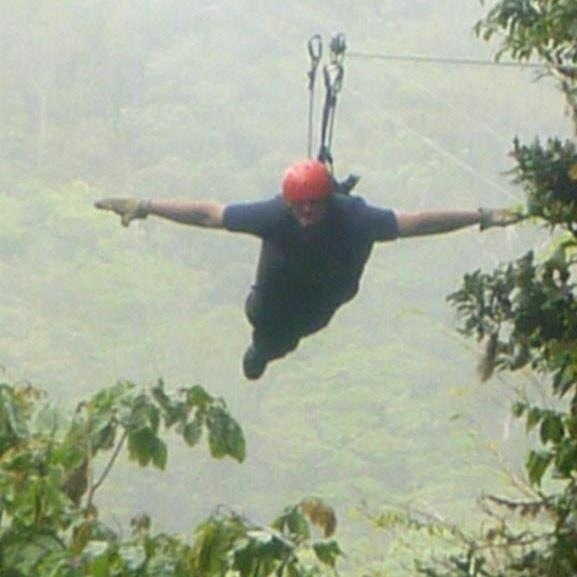 Highlights: Zip-Lining, Flying like Superman, Night Forest Walk. An action packed day in Monteverde. The weather here is actually more moderate due to the altitude and the mountains. I’m expecting this to be one of the last places that I can wear something other than shorts. Days on holiday. Sylvia also decided on horse riding. Otherwise we had a full component for this activity as the group selected a 10 am start. Zip-Lining is basically going from tree to tree using cables and support harnesses to get there. You have to use one hand to control you speed by gripping the cable behind your pulley and the other to control you harness. You cross you legs to help stop you swinging around on your descent. We did about 8 rides and one on occasion I stopped early and had to pull myself to the platform. Others nearly took out the operator on the platform! The last major ride was 450 metre long and high over a forest, at this stage I kept more comfortable to look out and enjoy the sights. One of the main attractions here is the Superman experience. Basically you assume the flying position and don’t use you hands at all. They attach and extra harness cable to support you and have a device to slow you down at the end since you can’t use you hands. You then fly of the forest and on this day into the mist! It was AWESOME!!! 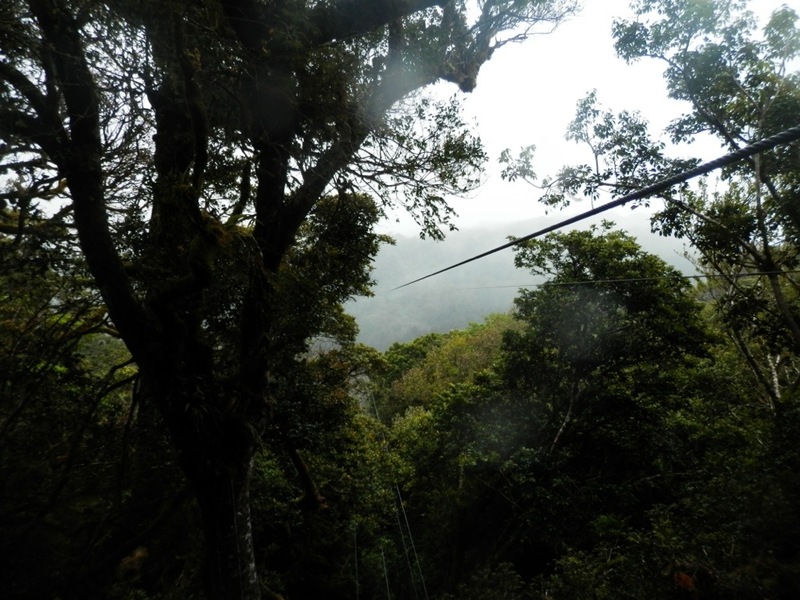 There was also the option to go on a Tarzan swing like a mini bungee jump. I opted not to that this experience as I’ve done a much bigger bungee jump in South Africa in 2006. After I made that decision I did regret it. This was a great day and courtesy of a special reward from G Adventures it was free for me as well :). The cost of this activity was $40 USD and you could use a credit card. Most of the group stopped in the town to go supermarket shopping to we our own lunches and in my case dinner. Costa Rica is expensive for Central America so you need to watch your pennies. Our hotel is within walking distance of the town but on the outer limit of what would be called an easy walk so most of us caught a taxi back. In the late afternoon I had selected the Night Forest Walk and this turned out better than I expected. For over 2 hours a group of us were guided though a forest. I was surprised by how much wildlife we found. There was all kinds of insects, birds including toucans, spiders, bats, and deadly snakes. You had to be careful since so much of the forest could either kill you or cause extreme pain including some of the caterpillars! This was a great day and I highly recommend Monteverde and following the suggestions of our tour leader Gabo. This entry was posted in World Trip 2012 and tagged CostaRica, VolcanoTrail. Bookmark the permalink.